EHSI developed a site and contaminant specific Health and Safety Plan (HASP) in accordance with Washington State Department of Labor and Industries Hazardous Waste Operations Regulations (WAC 296-843) for the subject property in Kirkland, Washington. 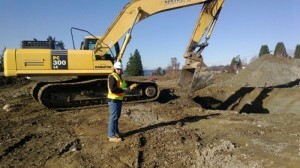 The owner of the property served as the General Contractor for conducting site development activities. The primary contaminate of concern was limited to vinyl chloride in groundwater. EHSI reviewed the sub-surface reports provided by the owner to understand the types and concentrations of the contaminants present and their distribution onsite. The HASP created by EHSI included EHSI’s hazard assessments, risk analyses, worker training requirements, personal protection equipment (PPE) and safety equipment requirements, medical surveillance, exposure monitoring for workers and third parties, site control measures, emergency response procedures and project documentation requirements. 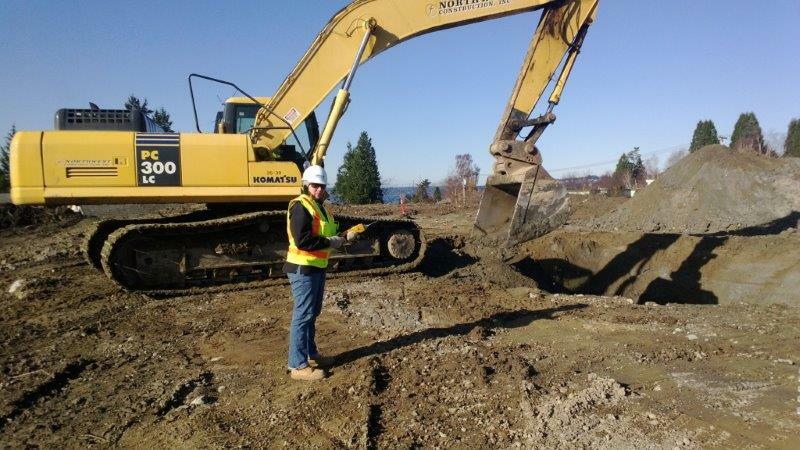 EHSI provided an onsite industrial hygienist technician during the soil disturbance activities involving areas of known vinyl chloride contaminated soils and groundwater that were anticipated to take place in the northwest portion of the site. EHSI conducted onsite, negative exposure assessments (NEAs) that occurred near the beginning of disturbance of soils with high concentrations of chemicals. The number of NEAs depended on construction staging and activities. NEAs used personal active and passive samplers, in the breathing zones of representative workers, for collected exposure data for contaminants of interest whenever a new process or new potential exposure was encountered. NEA samples were sent to appropriate laboratories for analysis using 24-hour turn-around-times, where feasible. Laboratory data was evaluated and compared with applicable regulatory limits to determine the necessary level of PPE required onsite and whether additional engineering, administrative and work practice controls were necessary to maintain chemical exposures at a level that was not deemed detrimental to workers. The information was utilized to “step-down” levels of control if exposure data warrants. EHSI monitored ambient area air concentrations of chemicals of interest using hand-held detectors including PIDs, and detector tubes. PID measurements were taken regularly on a timed basis, often one-hour intervals. Detector tube measurements were collected when onsite conditions indicate that sampling was appropriate. In addition, the perimeter was monitored by periodically collecting 8-hour samples for laboratory determination of regulated VOCs. These perimeter monitoring samples were collected and analyzed by the lab on a standard turn-around-time (TAT) basis. More information on this project is available on the WA Department of Ecology website. This entry was posted in Commercial Real Estate, Industrial Hygiene, Projects and tagged Health and Safety Plan, Negative Exposure Assessment by Nancy Yee.